WhatsApp now supports media previews in new message notifications, according to the latest update for iPhone users running iOS 10 or later. For as long as WhatsApp has been on iPhone, any images included in messages have been replaced by a camera emoji in notifications, so you had to open the app to see the attached media. Similarly, GIF messages sent over the chat platform are traditionally represented in notifications by the space invader emoji, requiring users to open WhatsApp to view the content. That behavior is set to change in version 2.18.90, released today, with support included for full media previews. On devices with 3D Touch, a hard press on notifications should reveal the media without having to open the app. Alternatively, users can swipe left on the notifications and tap View in the revealed menu. It's also worth noting that the media preview feature allows users to download images and GIFs directly from the notification if they have disabled WhatsApp's media auto-download option. According to WABetaInfo, the media preview feature isn't working for everyone who has updated just yet, but WhatsApp is apparently aware of the issue and is aiming to fix it server-side within the next few days. Also in version 2.18.90, WhatsApp is introducing a feature that flags suspicious links sent over the chat platform. 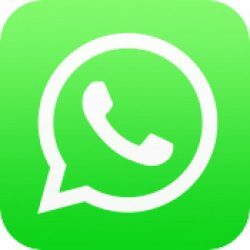 When a message is received that contains a link, WhatsApp analyzes the URL characters locally in order to detect if the link is suspicious and alerts the user in the chat thread. The best update for WhatsApp will be when it DISAPPEARS FROM THE FACE OF EARTH. I can't believe people are still using a messaging app that's hard-wired to the phone (amongst many other failures). I have seriously contemplated making the switch to Android many times. I would like a lot more customization options on my iPhone that Android offers but I’m one of the suckers that is hooked on the Apple ecosystem and nervous to make the change. Honestly, they're both the same. The thing that bugs the hell out of me with iPhone is the function to go 'back' a page... it's always hidden or works in some wonky way. Customization is a treat on Android. No matter which Android phone I get, Nova Launcher lets me make all of my devices look just like the one before, so it never feels foreign to me once I've got something that I'm comfortable with. That said, why not get a cheap used Android phone to mess around with... and sell it on Craigslist if you end up not liking it? The question remains, why does WhatsApp not support iPads when Viber has supported iPads and iPhones for many years? Is WhatsApp saying that Viber is more clever that they can support iPads but WhatsApp cannot? I’d really like WhatsApp to add the ability to pull down the notification to preview the message thread and quick reply without having to enter the app itself. I love this feature on iMessage and it would be great to have it on WhatsApp, fb messenger, and other 3rd party apps. My guess is that Apple has blocked this feature. Does anyone know if this is possible or will be possible in a future update? Sounds like what you want is an Android phone.